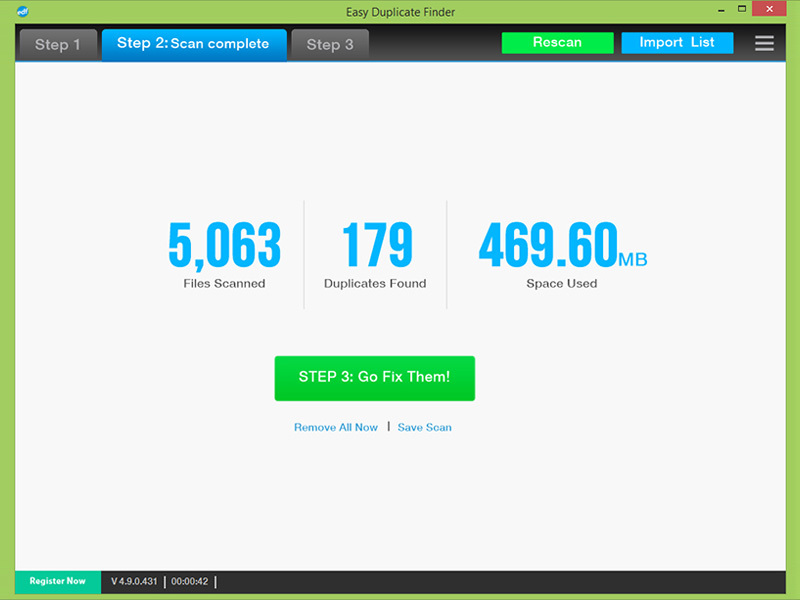 Easy Duplicate Finder uses advanced file comparison algorithms that detect all the duplicate files on your PC and guarantee 100% accurate results. The program has lots of file management tools that make it easy for you to quickly delete the duplicates you don’t need. You can sort results by file type and preview all detected files including pictures, videos, songs and documents. Power users can create file search masks and use advanced context menu options to manage their files in the most effective way.